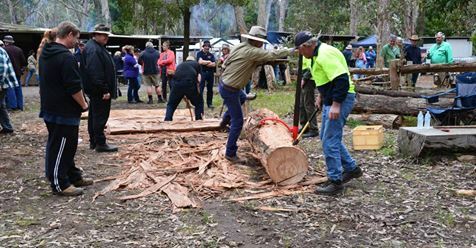 The 2019 Wood Days calendar is still available from Christine and Andrew Duyvestyn who recently hosted the twenty third annual event on their bush block in Milltown near Heywood in Western Victoria. Each year the paper people, the printer, the designer and the binder donate their time and product to produce 2,000 calendars that raise $10,000 for The Wood Days. 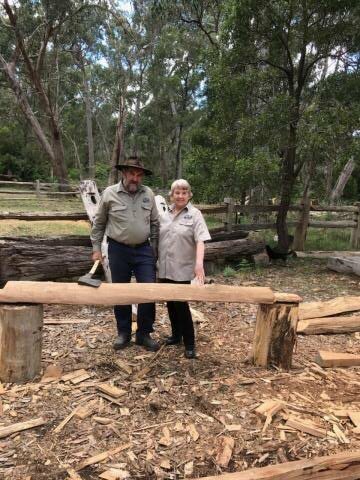 You can secure your copy by contacting Andrew on 03 5576 1217 or 0457 612 171 or Christine on 0427 101 559, or by email to acduyvestyn@gmail.com. The calendar captures the spectacular fundraising weekend that is held in November each year in Milltown. Our thanks go to Daniel Burke from Graphic Impressions, whose initiative this was many years ago, and to Spicers for paper, and Marvel Impressions and Zeena Lakhani for the design of the calendar. CIKA is extremely grateful to Daniel and his friends for their annual donation of two thousand calendars, which equates to $10,000 from their work for CIKA. A truly generous gift which helps us in our ongoing fight to find a cure for childhood cancer.